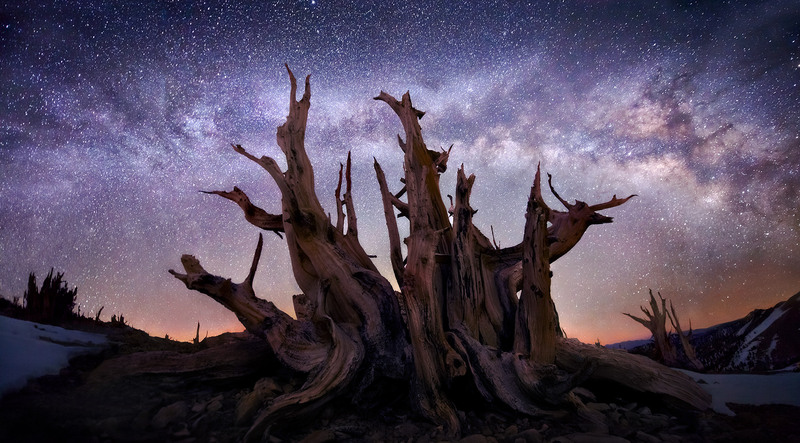 This is a 150-degree field of view across the milky way over an ancient, 5-meter wide Bristlecone Pine, the oldest living things in the world. It was taken in winter from high in the White Mountains from my campsite in a grove only accessible by backpacking to a remote corner of the range. Photo © copyright by Marc Adamus.